Currently, radiation exposure for patient and occupationally exposed personnel has been great concern. Doses exceeding the standard limits likely carry a small, short-term health risk. Radiation exposure is linked to loss of hair, erythema, cataracts, and malignancy, including thyroid cancer and leukemia. Patients with upper urinary tract stones suffer radiation exposure from diagnosis and follow up imaging, and treatment for nephrolithiasis. 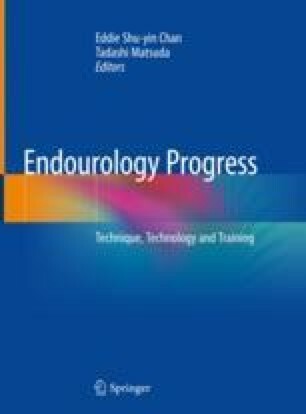 Furthermore, surgeons, assistants, and medical staffs are mostly exposed from radiation during endourologic procedures. As the disease prevalence of urolithiasis has increased, long-term low-dose radiation for them should not be ignored.